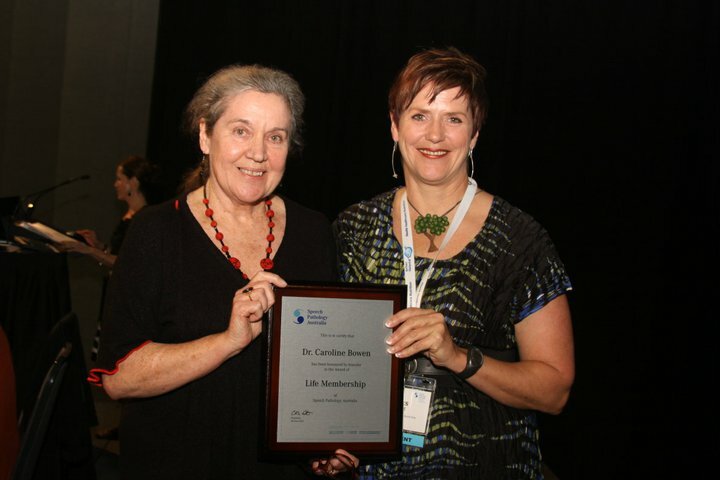 Dr Caroline Bowen AM is an Australian Speech-Language Pathologist. She is a Senior Honorary Research Fellow in Linguistics at Macquarie University in Sydney Australia, an Honorary Research Fellow in the School of Health Sciences (Speech-Language Pathology) at the University of KwaZulu-Natal in Durban South Africa, a Certified Practising Member of Speech Pathology Australia, a Fellow of the American Speech-Language-Hearing Association, a Life Member of the NSW Private Practitioners’ Network of Speech Pathology Australia, a Life Member of Speech Pathology Australia, and an Honorary Fellow of the Royal College of Speech and Language Therapists. With qualifications and forty-two years of clinical experience in speech pathology, she has also undertaken studies in speech and drama, and family therapy, and has a doctorate in clinical linguistics. Caroline Bowen is enthusiastically engaged in consultancy for international projects that range from professional publication, to web site content development, to Apps (including doing voice-overs and narration), to motion pictures, to children's television, to theatre. Now semi-retired, she will consider new ventures such as academic and clinical teaching, research collaboration and expertise requests, anywhere. 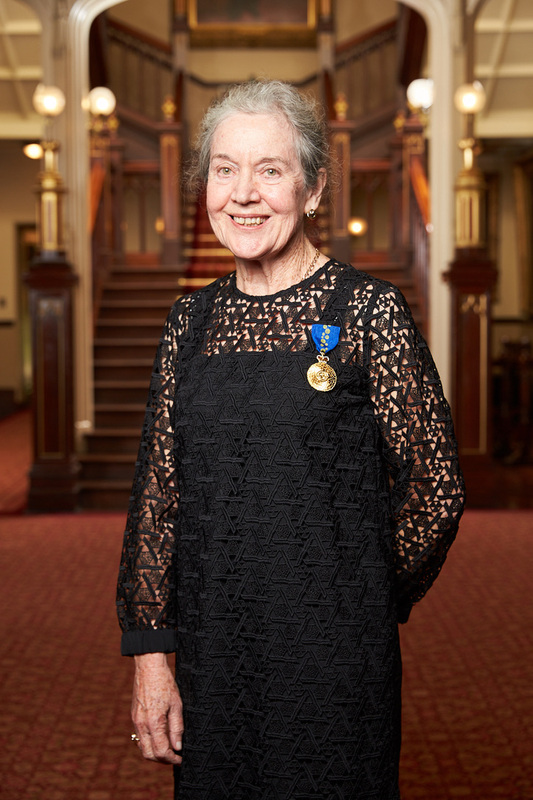 After five years in the public sector in general hospital and school settings, Caroline was a joint founder in 1976 of an independent Speech Pathology Group Practice in Gordon (Sydney, Australia) which she administered for 28 professionally and personally satisfying years. In that time she assessed and treated thousands of children and adolescents with a range of voice, speech, language, fluency, hearing and social communication challenges, and adults with voice disorders, gaining wide experience. This brought with it an appreciation of the role of families in assessment and therapy and prompted Caroline to undertake Family Therapy studies, at the Family Therapy Institute of Australia, in 1988-1989. As her interest and expertise in the clinical management of children’s speech sound disorders grew, her work became more specialised. By 1994 her caseload consisted primarily of children with phonological disorders, articulation disorders and childhood apraxia of speech. At least half of these children with speech sound disorders had 'other' communication and developmental difficulties such as autism spectrum disorders, craniofacial differences, developmental language disorder (DLD, also known as Specific Language Impairment, or SLI), Down syndrome, fluency disorders, hearing impairment, 'late talking', traumatic brain injury, visual impairment and Williams syndrome. In 1996 Caroline completed doctoral studies, expertely supervised and co-supervised by Dr Linda Cupples and Dr Teresa Iacono respectively, in the area of intervention for children with phonological disorders. 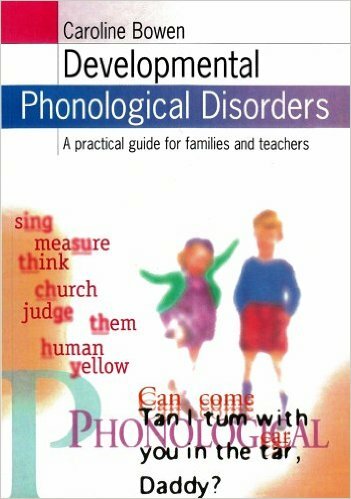 Two years later her first book, Developmental Phonological Disorders: A Practical Guide for Families and Teachers (Bowen, 1998) was published. The intervention approach that she developed and evaluated for her PhD, and describes in the 1998 book, is called Parents and Children Together, or PACT. PACT is a broad-based approach to phonological therapy in which parents, child and clinician are actively involved. The book, which is now out of print, was proudly dedicated to her parents, Frederick Hart (b.28-07-11 d.25-10-99) and Isobel Margaret Hart née Wallace (b.28-08-13 d.22-09-12). The scene changed in June 2004 when Caroline and her husband, Don Bowen, relocated and Caroline commenced a solo speech pathology practice in the beautiful Blue Mountains village of Wentworth Falls. This allowed more time for Caroline to pursue her interest in writing and presenting Continuing Professional Development (CPD) Events, while continuing to treat children with a range of communication issues. As of September 1, 2011 Dr Bowen no longer sees children for assessment or for ongoing intervention. Neither does she perform second opinions. She continues to read, write, think and present Continuing Professional Development (CPD) events, worldwide. Since 2005 Caroline has had the honour, pleasure and challenge of presenting invited Continuing Professional development (CPD) events to SLPs/SLTs and students in cities and towns in all six states (NSW, QLD, SA, TAS, VIC, WA) and two territories (ACT, NT) of Australia and in eighteen other countries: Canada, Denmark, England, Hong Kong, Iceland, Indonesia, Ireland (Éire), Malaysia, New Zealand, Northern Ireland, Norway, the Philippines, Portugal, Scotland, Singapore, South Africa, Turkey, and the United States. From January 2015 Caroline reduced her CPD activities and travel, but continues to carefully consider all invitations, wherever they are from. There is information here. Caroline wrote Webwords, the Internet column in the Journal of Clinical Practice in Speech-Language Pathology (formerly ACQ). JCPSLP is Speech Pathology Australia's clinical and professional journal, published three times a year. Webwords addresses a gamut of SLP/SLT topics and appeared in every issue of ACQ from 1999 to 2011 (Webwords 1 to 41), and each issue of JCPSLP from March 2012 to July 2018 (Webwords 42 to 61). All the columns are here, in pdf and https format. Her role as the list owner of the currently dwindling phonologicaltherapy discussion group has helped fulfil her interest in hearing a range of ideas, opinions and varing levels of evidence in the areas of children's speech development and disorders. From June 24, 2013 to December 24, 2014 she administered the 'Speech and Language Therapy Facebook' group which was founded by Susanna Bright, a British Speech and Language Therapist based in Zambia. Caroline's Twitter handle is @speechwoman and most of her Tweets are SLP/SLT-related. Since March 5, 2014 she has been co-administrator, with Professor Bronwyn Hemsley, of the WeSpeechies (@WeSpeechies) RoCur in Twitter. After years of collaboration with, and hard work by Rachel Fortin, a French translation of Bowen, 1998 was published in Montreal, Canada as Bowen, 2007. 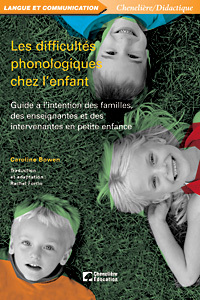 Curiously, sales of the popular French translation, Les difficultés phonologiques chez l'enfant: Guide à l’intention des familles, des enseignantes et des intervenantes en petite enfance, far exceed those of the original English version. 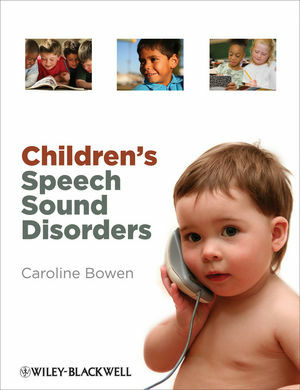 While Caroline's 1998 and 2007 books are addressed to the families and teachers of children with phonological disorder in particular, the primary target readership for Bowen, 2009 is clinicians and clinical educators, and it covers the full range of speech sound disorders in children. Described by some readers and reviewers as being 'for clinicians by a clinician', Children's Speech Sound Disorders addresses the assessment and intervention issues that arise in the day-to-day clinical practice of SLP/SLT colleagues wherever they are. Half this 430 page book is by Dr Bowen herself and half by 51 expert contributors. 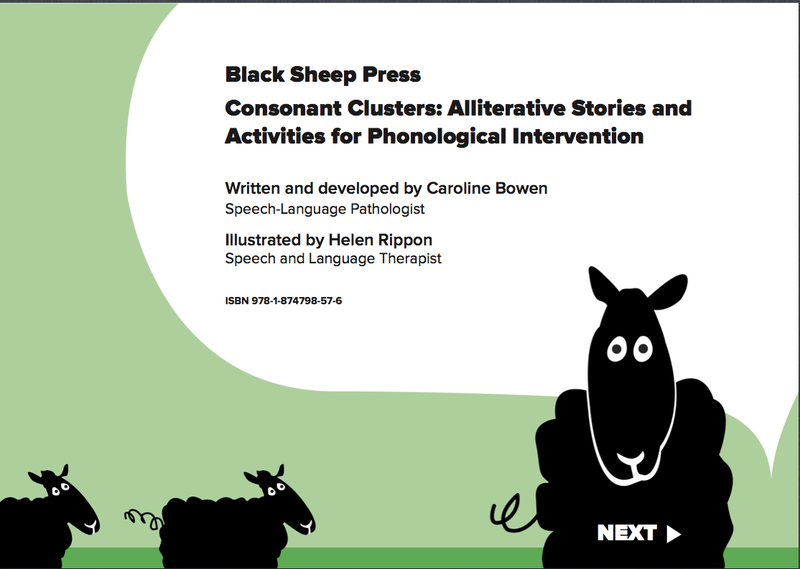 Intended for use by Speech and Language Therapists/Speech-Language Pathologists (SLTs/SLPs), Consonant Clusters: Alliterative Stories and Activities for Phonological Intervention by Caroline Bowen comprises information about, and resources for applying a complexity principle to intervention for children who have turned four, and who have moderate or severe phonological difficulties and poorly intelligible speech. It begins with a clear explanation of the reasoning and research underpinning the pack, followed by information for therapists and families, a Cluster Screener in the form of a Monosyllabic-Word Imitation Task, and 90 pages of carefully thought out Activity Sheets illustrated by Helen Rippon. Speaking directly to experienced and novice clinicians, educators and students in speech-language pathology/speech and language therapy via an informative essay-based approach, Children’s Speech Sound Disorders provides concise, easy-to-understand explanations of key aspects of the classification, assessment, diagnosis and treatment of articulation disorders, phonological disorders and childhood apraxia of speech. It also includes a range of searching questions to 60 international experts on their work in the child speech field. Bowen, C. & Snow, P. (2017). Making Sense of Interventions for Children with Developmental Disorders. Guildford: J&R Press. 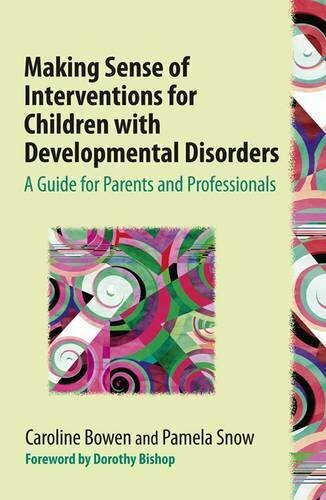 This book, Making Sense of Interventions for Children with Developmental Disorders, is about pseudoscientific interventions for children’s speech, language, literacy, fluency, voice, communication, behaviour and social connectedness. Clarifying why these interventions don't or won't work, and in some cases why they are risky, the authors also guide readers towards interventions with good credentials that are underpinned by science and common sense. Follow 'Making Sense' on Twitter @TxChoices. Visit the "order page" on the J&R Press site. A strong advocate for her profession, Caroline is active in several capacities as a Speech Pathology Australia member. She was surprised and delighted, in 1986, to be made a Life Member of the Private Speech Pathologists’ Association of New South Wales (later to become the NSW Private Practitioners' Network of Speech Pathology Australia) for services to professional practice. 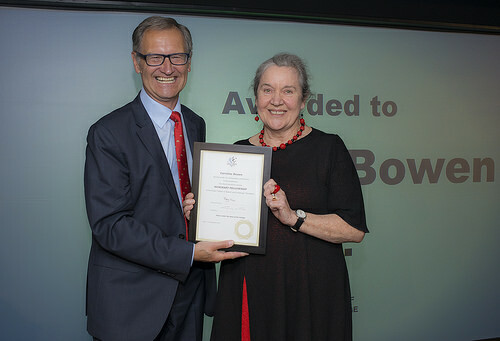 Fourteen years later, she was honoured to receive Speech Pathology Australia's Elinor Wray Award for 2000 for services to the profession, and in the same year she was appointed as an Honorary Associate in Linguistics at Macquarie University, in Sydney, NSW. Then, in 2003 she had the privilege of presenting the annual Elizabeth Usher Memorial Lecture at the Speech Pathology Australia convention in Hobart, Tasmania. The paper was entitled, Harnessing the Net: A Challenge for Speech-Language Pathologists. In 2011 she was proud, overwhelmed and rendered almost speechless with emotion during the award ceremony in which her Life Membership of Speech Pathology Australia was conferred. In 2014 she was thrilled to receive the award of Honorary Fellow of the Royal College of Speech and Language Therapists. Asad, A., Purdy, S. C., Ballard, Fairgray, L., & Bowen, C. (2018). Phonological processes in the speech of school-age children with hearing loss: Comparisons with children with normal hearing. Journal of Communication Disorders, 74, 10-22. Bowen, C. (2000). PACT: Collaboration avec les familles et les enseignants rééducation phonologique. Rééducation Orthophonique, 203, Septembre, 11-17. Bowen, C., & Cupples, L. (1998). A tested phonological therapy in practice. Child Language Teaching and Therapy.14(1), 29-50. Bowen, C., & Cupples, L. (1999a). Parents and children together (PACT): a collaborative approach to phonological therapy. International Journal of Language and Communication Disorders. 34(1), 35-55. Bowen, C., & Cupples, L. (1999b). A phonological therapy in depth: a reply to commentaries. International Journal of Language and Communication Disorders.34(1), 65-83. Bowen, C., & Cupples, L. (2004). The role of families in optimising phonological therapy outcomes. Child language Teaching and Therapy, 20(3), 245-260. Bowen, C. & Cupples, L. (2006). PACT: Parents and children together in phonological therapy. Advances in Speech Language Pathology, 8(3), 282-292. Hemsley, B. & Bowen, C. (2015). A Call for Evidence To Inform The Use of Twitter in Speech Language Pathology. Journal of the Speech-Language-Hearing Association of Taiwan, 33, 61-72. McLeod, S., Verdon, S., & Bowen, C. (2013). International aspirations for speech-language pathologists' practice with multilingual children with speech sound disorders: Development of a position paper. Journal of Communication Disorders, 46, 375-387. McLeod, S., Verdon, S., & International Expert Panel on Multilingual Children’s Speech (2017). Tutorial: Speech assessment for multilingual children who do not speak the same language(s) as the speech-language pathologist. American Journal of Speech-Language Pathology, 26(3), 691–708. Bowen, C. (in press for 2019). Internet resources in Damico, J. S. and Ball, M. J. The SAGE Encyclopedia of Human Communication Sciences and Disorders. Thousand Oaks: CA. Sage Publications. Bowen, C. (in press for 2019). Metaphonology in Damico, J. S. and Ball, M. J. The SAGE Encyclopedia of Human Communication Sciences and Disorders. Thousand Oaks: CA. Sage Publications. Bowen, C. (in press for 2019). Articulation Therapy (Phonetic Intervention) in Damico, J. S. and Ball, M. J. The SAGE Encyclopedia of Human Communication Sciences and Disorders. Thousand Oaks: CA. Sage Publications. Bowen, C. (in press for 2019). Phonological and Phonemic Awareness in Damico, J. S. and Ball, M. J. The SAGE Encyclopedia of Human Communication Sciences and Disorders. Thousand Oaks: CA. Sage Publications. Bowen, C. (1998). Give me five: A broad-based approach to phonological therapy. Communications Ahead. Dunedin: New Zealand Speech-Language Therapists’ Association Biennial Conference Proceedings. Bowen, C. (2003b). Harnessing the Net: A challenge for Speech Language Pathologists. The 2003 Elizabeth Usher Memorial Lecture. In C. Williams & S. Leitao (Eds), Nature, Nurture, Knowledge, Proceedings of the Speech Pathology Australia National Conference, Hobart. pp. 9-20. Bowen, C. (2003). Phonological Disorders. Learning Disabilities Sourcebook, 2nd edn. Health Reference Series Detroit: Omnigraphics. Bowen, C. (2010). Parents and Children Together (PACT). In Williams, A. L., McCauley, R. E., & McLeod, S. (Eds.). Interventions for Speech Sound Disordersin Children. Baltimore: Paul Brookes. Watts Pappas, N., & Bowen, C. (2007). Speech Acquisition and the Family. In McLeod, S. (Editor). The International Guide to Speech Acquisition. Clifton Park, N.Y.: Thomson Delmar Learning, 86-90. Bowen, C. (2007). Les difficultés phonologiques chez l'enfant : guide à l'intention des familles, des enseignants et des intervenants en petite enfance Caroline Bowen; Rachel Fortin, traductrice et adaptatrice. Montréal: Chenelière-éducation. Bowen, C. (2009). Children's speech sound disorders. Oxford: Wiley-Blackwell. Bowen, C. (2015). 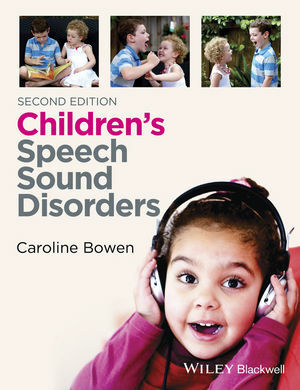 Children's Speech Sound Disorders (2nd ed.). Oxford, Wiley-Blackwell. Bowen, C. & Snow, P. C. (2017). Making Sense of Interventions for Children with Developmental Disorders. Guildford: J&R Press. Bowen, C., & Rippon, H. (2013). Consonant Clusters: Alliterative Stories and Activities for Phonological Intervention. Cowling, Keighley: Black Sheep Press. Caroline's top leisure pursuits are national and international travel, reading, writing, walking (daily), bushwalking (not often enough) gardening and dining out. She is passionate about social justice, Aboriginal reconciliation, native title, conservation, the National Film and Sound Archive of Australia, the ABC, Speech Pathology Australia and her profession. Her favourite places in the world are Sydney and London; the villages of St Fillans in Scotland, Wentworth Falls in the Blue Mountains, NSW, and New Zealand - all of it! She is proud of her three grown up children, Philippa (Pip), Barnaby (Bar), and Luke, and her lovely grandchildren Jonathan David (b. August 29, 2007), Arabella Caroline (b. December 30, 2009), Isla Alice (b. July 22, 2015), and Alex Louis (b. August 15, 2017). She enjoys their company, and the company of David (Pip's husband), and Rachael (Luke's wife) as well as good coffee, classical music, the visual arts and her garden. And the icing on the cake is being married to Don Bowen PhD.